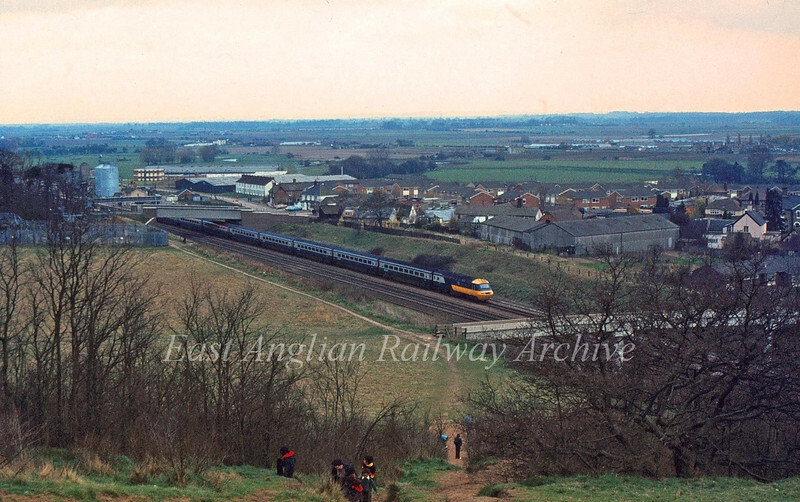 Sandy Hills give a supurb view of operations on the ECML. Here the 1400 Kings Cross to Edinburgh is passing Sandy station which can be seen behind the rear power car. 7th April 1980.